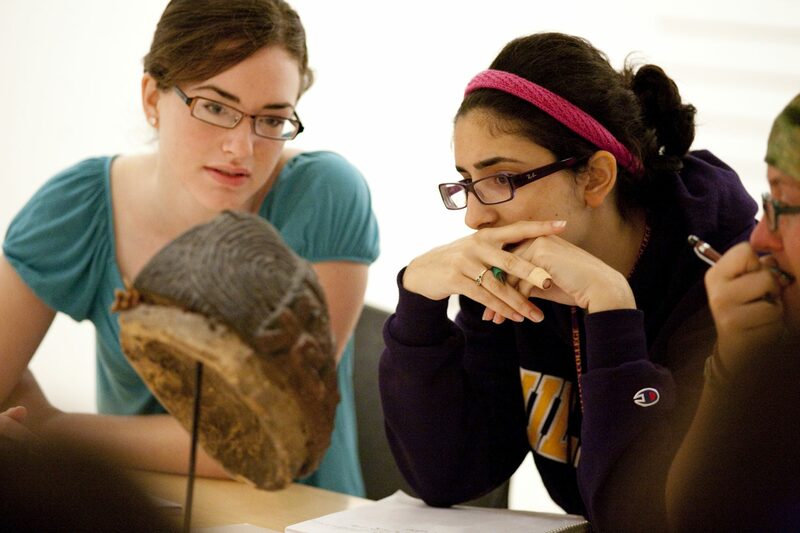 Rose provides a classroom setting for faculty from across disciplines to teach with works of art. We pull works of art from storage and make them available for close study. 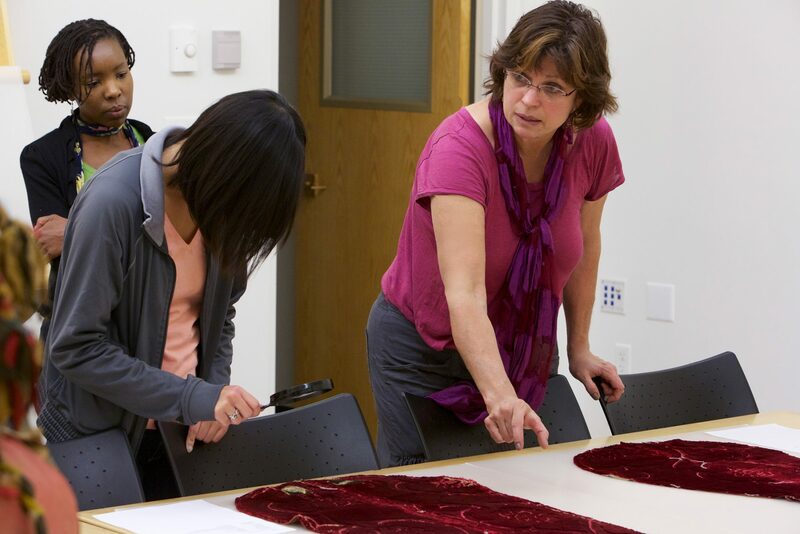 No prior experience with art necessary; Elizabeth Gallerani, Curator of Mellon Academic Programs, customizes each session for your class. She recommends specific works of art, provides background information on art and artists, suggests pedagogical strategies for teaching with art, gives you access to the art before your class, and can assist with teaching. We encourage you to schedule as many class sessions as you like; some courses meet throughout the semester or even weekly. Looking up-close at art in a familiar classroom setting helps to foster dynamic dialogues about art. 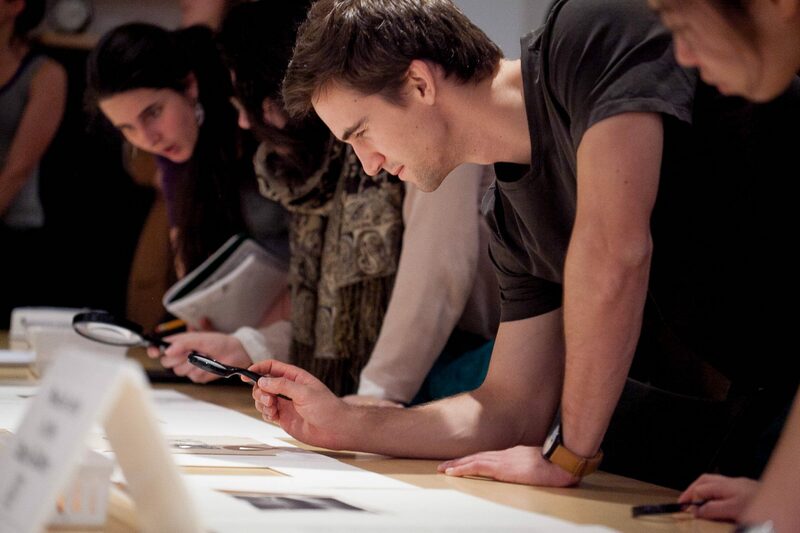 Class sessions in the Rose Study Gallery draw from the full range of works in the museum’s collection, which you can browse here. Classes also incorporate presentations and a range of audio-visuals with our digital projector and desktop computers.